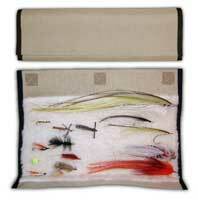 See what MidCurrent® has to say about the Fat Cat Fly Fishing Fly Wallet. Feather-Craft, a fine fly fishing shop and web store has a fly tying contest in progress. 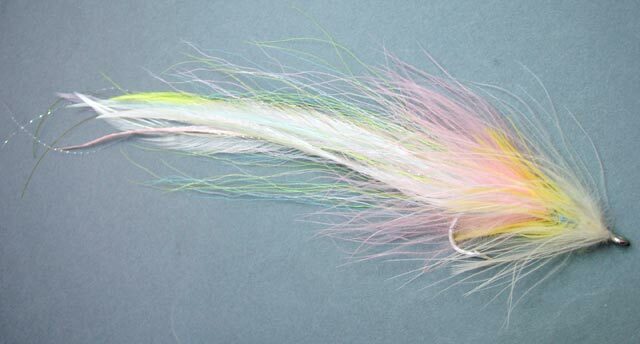 The winning flies will go into production and sold in Feather-Craft's catalog. Over the years my 7 to 9-inch Squidsicle fly in various colorations (Wonder Bread in this case) has been a producer from May through November and not only when there are squid around. The construction and materials of this fly keep it in perpetual motion. I entered this fly in the contest under the saltwater catagory. If you would like to support my fly, click here and leave a comment. Thanks!